However, you still might be charged excessive fees if you stray from car-rental companies’ rules on fuel or electronic tollway transponders. Worse, some operators of car-rental facilities are scamming you when it comes to damage claims, meaning that you have to scrutinize your bill as well as the vehicle itself. TOTAL RECALL. 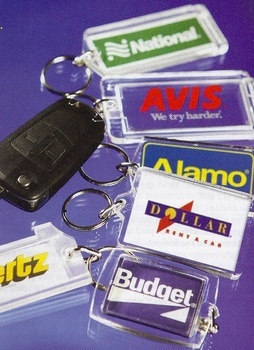 The car-rental industry largely is unregulated at the federal level. Consumer advocate and nationally syndicated columnist Christopher Elliott says each state regulates car-rental companies piecemeal. That means, for instance, that a state’s motor vehicle department might monitor how a vehicle is operated, and an insurance commissioner would be in charge of how a rental car is bought or sold, but nobody oversees the big picture. Pricing isn’t regulated at all, Elliott says. It’s no wonder that consumers end up falling through the cracks. A move is afoot to change that. Sen. Charles E. Schumer, D-N.Y., who was joined by Sens. Barbara Boxer, D-Calif., and Claire McCaskill, D-Mo., wrote the Raechel and Jacqueline Houck Safe Rental Car Act of 2011, which was named after sisters who died in a head-on crash in October 2004 after Enterprise Rent-A-Car rented them a Chrysler PT Cruiser. Tragedy turned to outrage when investigators learned that Enterprise received notice of a recall on the rented vehicle a month before the crash but opted to keep the vehicle on the road—renting it three times prior to the Houck crash. Independent investigators confirmed that the crash was a direct result of the ignored safety recall. After years of wrangling with the car-rental company, the girls’ parents received a $15 million settlement in 2010. The senators, who at press time were targeting a November 2012 passage of the legislation, were prompted to restrict the rental of recalled vehicles after the Houck family and Consumers for Auto Reliability and Safety, which is a consumer advocacy group, alerted them to the issue. In the House, Rep. Lois Capps, D-Calif., introduced in 2012 similar legislation that has bipartisan support. She hopes to have the bill passed by the end of 2012, although she admits that Congress’ lame-duck session could derail the legislation. If so, she says she plans to reintroduce the bill in 2013. Hertz agreed to back the federal legislation and signed a pledge that was submitted by Boxer in May 2012 to immediately and permanently stop the rental or sale of any vehicle that’s under recall. Hertz tells us the company has a longstanding policy against renting recalled vehicles, which was reason enough to sign the pledge. Boxer told Consumers Digest in an email that any company that wouldn’t agree to her basic safety pledge was putting its consumers’ lives at risk. We agree, and we wonder why it took so long for the other car-rental companies to reach the same conclusion. Capps asks, “Are you going to put your life in the hands of the rental companies themselves? Are they more interested in your safety or their bottom line?” We believe that this type of consumer-safety issue should be a no-brainer. The legislation requires that vehicles that are recalled will be grounded no later than 24 hours after the car-rental company gets the recall notice. (Companies that have more than 5,000 vehicles in their fleet will have up to 48 hours.) Further, National Highway Traffic Safety Administration will, for the first time, have the authority to investigate and police car-rental companies’ recall-safety practices. The Senate legislation that was endorsed in September includes revisions from earlier bills that were introduced by Schumer and Boxer. One such revision allows an exception to the bill’s stipulation that recalled vehicles may not be sold until the vehicles are fixed. The change would allow car-rental companies to sell a recalled vehicle that has a junk title for parts or scrap. Further, if a manufacturer’s recall notice specifies temporary steps that can be taken to eliminate a recalled vehicle’s safety risk until new parts are available, a rental company may continue to rent the vehicle if those measures are put in place but then must pull it for repairs as soon as the parts arrive. DOING DAMAGE. Being on the receiving end of an incorrect damage claim from the rental company can make your blood boil. Bernadette Del Chirao of Sacramento, Calif., rented a Ford Crown Victoria in 2012 at Honolulu International Airport. Del Chirao noticed a few scuffs on the bumper during a walk-around inspection with a car-rental employee. “He told me not to worry about the bumper, to just look at the body of the car,” she says. Elliott, who has written extensively about car-rental companies, says he hears up to 10 complaints per week that cite false damage claims. He says that in economic tough times, some car-rental managers try to boost damage claims to generate more revenue. Unsurprisingly, car-rental companies disagree: They say they lose money on damage claims. Consequently, it makes sense to insist that any damage be documented in writing by the car-rental agency and to take pictures of any damage that you spot before you sign off on a rental if the agency won’t give you a different vehicle. If you receive an unfounded claim, Elliott suggests that you should call regional and corporate offices—you shouldn’t be shy about using social media to get a company’s attention—and you should contact your state’s insurance commissioner. National Association of Insurance Commissioners, naic.org, has contact information for each state insurance office. PILING ON. Less dangerous than recall shenanigans are and less costly than trumped-up damage claims are, insurance charges and fuel fees nevertheless are the most easily identifiable sore points for consumers. You should know that in case of a collision, another charge lurks in the rental agreement’s insurance fine print: If you waive the car-rental company’s insurance coverage and are in an accident, the company will charge you for “loss of use” if it has to take a vehicle off the lot for inspection and repair. The charge, which typically is equal to your daily rental rate, applies for each day that the company can’t rent that vehicle. “Administrative” fees also might be assessed. Your personal automobile insurance policy or the credit card that you use for the rental transaction might include coverage for a car-rental company’s loss of a vehicle’s use, but that varies, depending on your policy and your credit-card issuer. All of the major car-rental companies also would like to sell you additional insurance coverage for personal belongings, medical expenses and liability. Elliott says this type of insurance is “highly profitable” for rental agencies, but none of it is necessary. Checking with your insurance carriers (including medical insurance carriers) beforehand will help you to determine whether to bite on these. Refueling fees are another way that car-rental agencies can take advantage—under the guise of providing you with a convenience. If you return your vehicle without replenishing the fuel, companies will tack on fees in the range of $8–$10 per gallon. Robert M. Barton, who is president of American Car Rental Association, defends the high-fee practice by equating it with the convenience of valet service—having a car-rental employee pump fuel is a luxury decision. Maybe so, but we’re skeptical about the need for the car-rental companies to more than double at-pump prices. Sally Greenberg, who is the executive director of consumer-advocacy organization National Consumers League, agrees. She even sided with car-rental companies in February 2012 testimony before the House Judiciary Committee about taxes and fees that are charged to consumers, particularly at airports. “The fees are just oppressive,” she tells Consumers Digest. We found that some car-rental companies are less than clear about what your total cost will be. Some websites list only the rental price and make you click through several screens to find the actual cost after taxes and fees are added; others list this total beneath the rental price but in much smaller type. We would sympathize more with car-rental companies being made the scapegoat for municipalities’ cash grab if unexpected taxes were the only complaint that consumers had with those companies. However, car-rental companies’ other practices far more frequently take consumers for a ride.